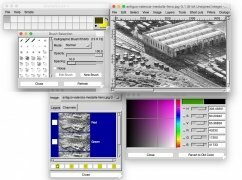 Three years after the creation of GIMP back in 1998, two developers of this popular drawing program decided to take on another project aimed at enhancing video images. 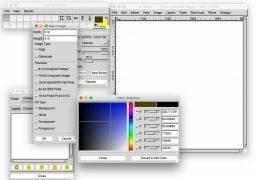 The project, which was initially called Film GIMP, was specifically focused on creating a program for professional movie makers working in 35mm and high-resolution formats. 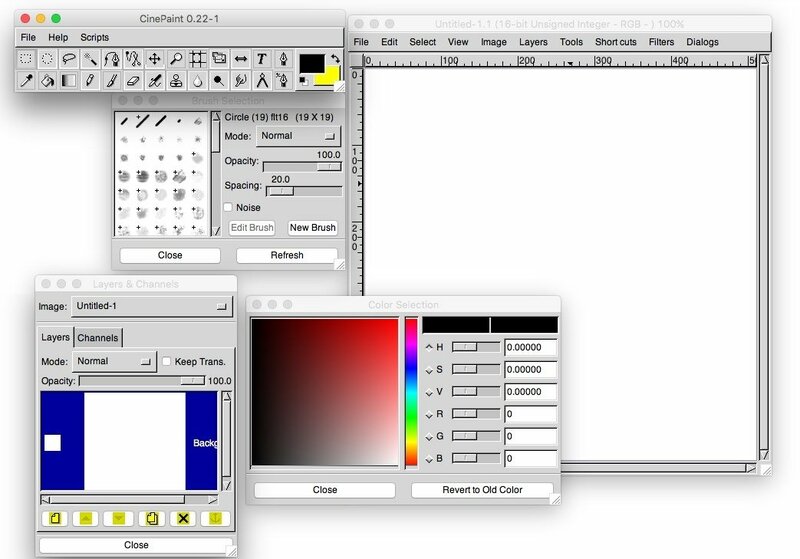 In 2003, after several years of development, the program was renamed as CinePaint. 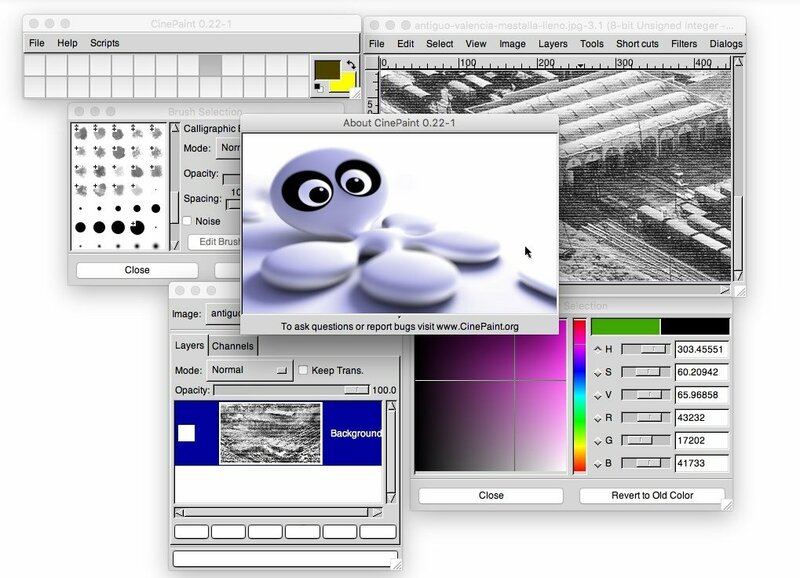 This software has a version for Mac, but also an edition for Windows and Linux, although the development on these platforms isn't so advanced. 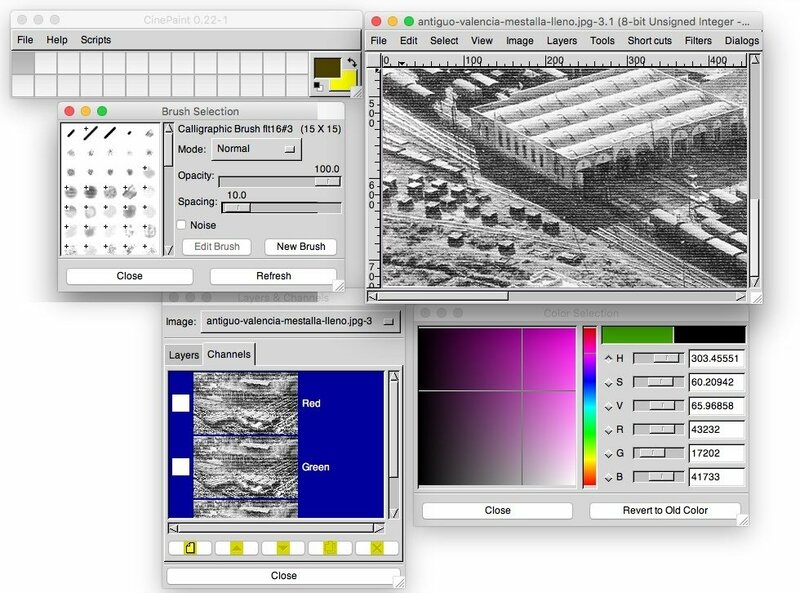 Capacity to operate with HDR images. Support for 16-bit workflows to be used in standard photo editing. The software used to enhance movies of the likes of Scooby-Doo, Harry Potter and the Philosopher's Stone or The League of Extraordinary Gentlemen. 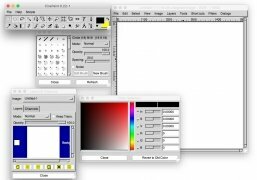 However, despite being aimed at a professional use, it's very easy to use thanks to its intuitive graphical interface that reminds us of classic programs such as Paint for Windows. If you prefer, you can use it as a simple drawing program as it also includes tools such as the typical paint sprays, brushes, lines, shapes, text, etc.